It has been considered common wisdom to allow blog comments on each and every blog post that is made in order to facilitate discussion, create community connections and ultimately boost the exposure of each blog post. As the nature of comments and blogging changes, we find ourselves in a position these days where that wisdom is being questioned by many. There are certainly many advantages to blog comments, but plenty of drawbacks as well. It ultimately depends on your personal strategy, level of activity and long-term goals for each blog. In the following article, we will discuss the pros and cons of allowing readers to comment and interact with your blog. Successful blogs know that they can count on a myriad of personas who will want to weigh in on each blog post and offer their opinions. The reality of blog comment sections is one that provides an outlet for users to directly interact with one another, as well as the author of each blog post. This can be a great way to show users that you are active and dedicated to the blog and can go a long way in augmenting the level of reader retention that your blog enjoys. If you have a substantial base of users pinging your blog, then you may feel that there is no other option than to allow blog comments on each post. 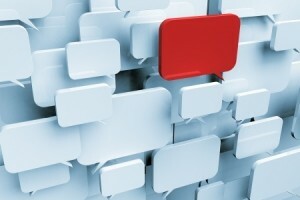 For successful blogs, comments build community and strengthen the concepts of sharing and interaction. The reality of monitoring and moderating blog comments is one drawback to allowing them on your blog. You will have to either allow all comments to be posted automatically (and thus open your blog comments up to spam), or you will need to take a proactive approach in monitoring each one and approving them on a case-by-case basis. Many commenters want to be able to interact in real-time with blog comment sections, so a moderator review option may discourage communication as much as a disabled comment section would. If you do not have a consistent amount of time each day to monitor your blog comments and respond to each, then you may be better off disabling them. If you have twenty new replies to a recent blog post, will you have the necessary time to respond to each of them? If not, then how will some people feel that you did not reply to their well thought out responses versus someone else’s? These are questions that must be considered: if you create a system of inequality when it comes to who and what you interact with, then you may find that the number of recurring blog contributions and comments will decrease markedly. You also open yourself up to criticism with each reply you make to a given blog comment. Sometimes, it is better to stay above the fray and disable blog comments. You no doubt want tons of people pinging your blog with reads, shares and various interactions, but comment sections can be a breeding ground for negativity, spam and frustration. If you have ample time to dedicate to its moderation and interaction, then blog comments can be a great tool for enhancing your blog’s reach. Otherwise, it may be best to turn them off until further notice.